"General Fund Bond - Great Falls, Montana - June 4, 1923." 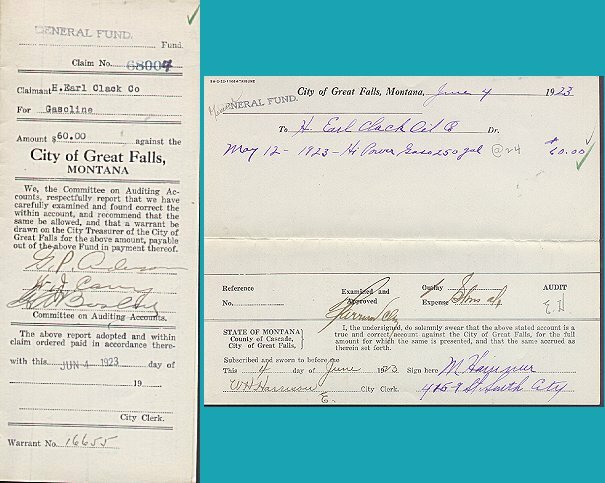 (1248) General Fund Bond - Great Falls, Montana - June 4, 1923. - Condition: Excellent This wonderful Municipal Bond was designated for Great Falls General Fund. The Claimant was H. Earl Clack Co. and was signed by three members of the Auditing Accounts. Money went to 250 Gallons of Hi Power Gas. Price: $9.00 + Shipping.